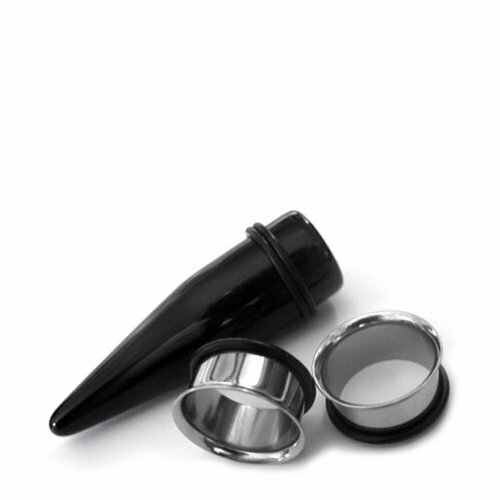 1 inch ear stretching kit. 1 black acrylic taper & 1 pair (2) of single flare ear tunnels. "O" rings included.